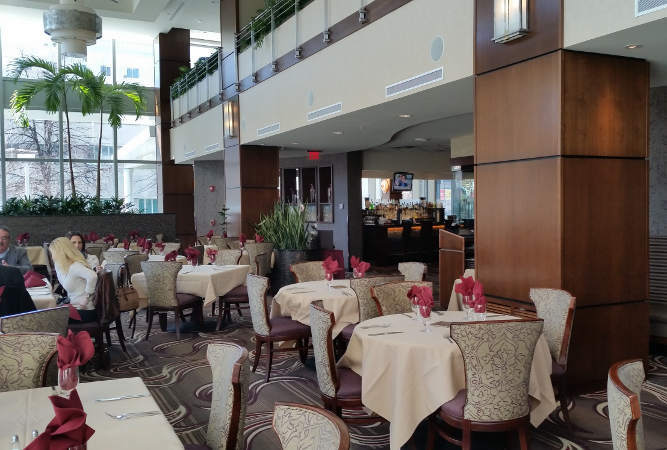 New to the Buffalo brunch scene is Della Terra Ristorante. 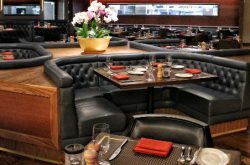 Della Tella is a bit of a hidden gem for a restaurant that is so centrally located at the corner of Delaware and W. Huron. 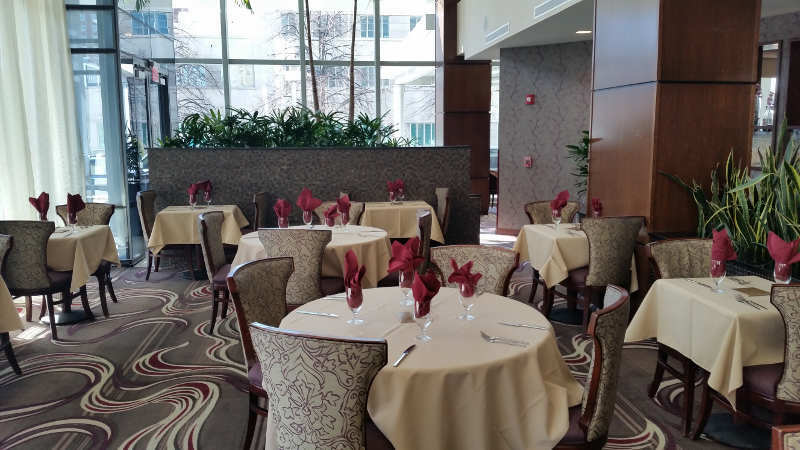 Our theory is it suffers from a bit of an identity crisis – equally well known as the restaurant inside the Embassy Suites Hotel and the place at the bottom of the Avant building. 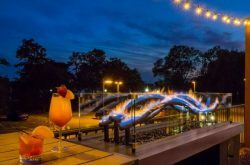 Regardless of what you call it, it’s a great spot to get quality cuisine in a posh atmosphere. The dining room is well attired in creams and burgundies with some wood trim. Two “walls” of the restaurants are framed in glass allowing the sunlight to pour in. The patio out front is a prime people watching perch in warmer months. Perfectly located to catch the sun for an upscale lunch. 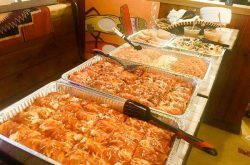 If you’re looking to impress your new girlfriend or maybe her parents, Della Terra is the perfect choice. While the brunch menu is fairly simple, you get plenty of bang for your buck. 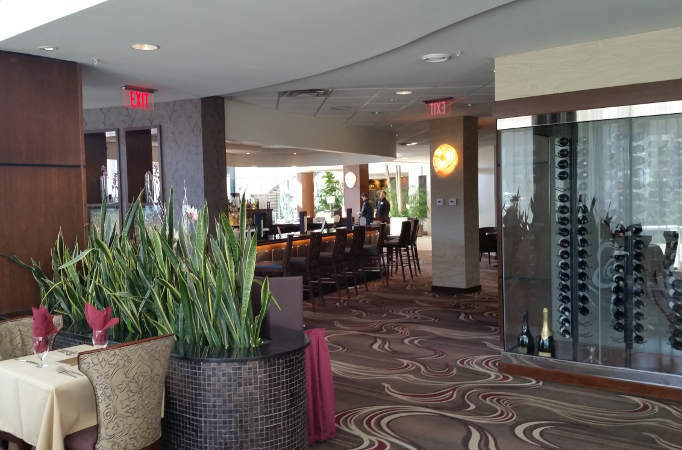 The surrounds are swank, the service attentive, and you get a free mimosa after noon. We sat down at about 11:30. It was only the second week with their new brunch so the crowd was light. Besides, most people are smart enough to wait for the Blue (from lack of oxygen to the brain) Laws to kick off – no booze before 12:00. We started with coffee and a Fresh Baked Pastry Basket – Variety of scones, muffins, breakfast breads (small $6, large $9). This is a nice assortment. Due to simple math I only got one muffin and, like everyone else, it hit the spot and didn’t last long. 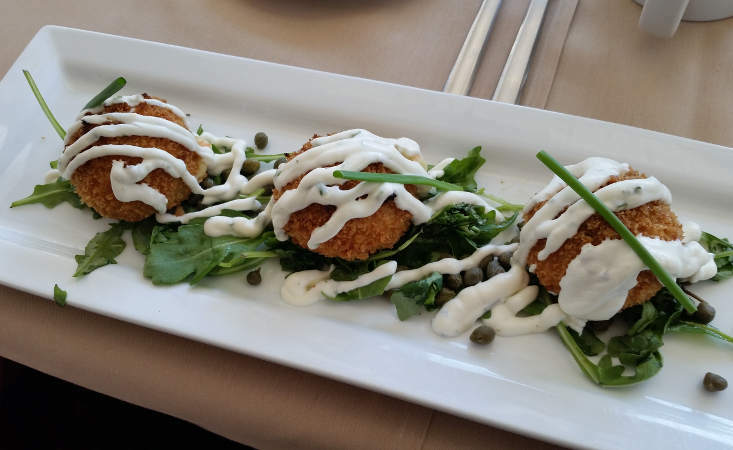 As an appetizer of sorts we ordered Smoked Salmon Croquets – lightly breaded potato stuffed with smoked salmon, capers, topped with chive crème fraiche – $9. This is from the small plate section of the menu. Loved it. The capers, topped with chive crème fraiche are the perfect touch. 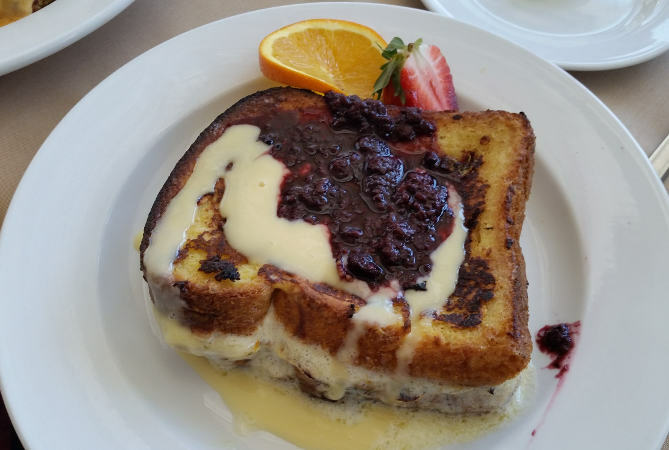 Stuffed French Toast – Brioche bread stuffed with Grand Mariner mascarpone, topped with fresh berry compote and crème en glace – $12. This dish is worth the trip alone. Who doesn’t love Grand Marnier in the morning? Delicious and surprisingly not overly sweet. 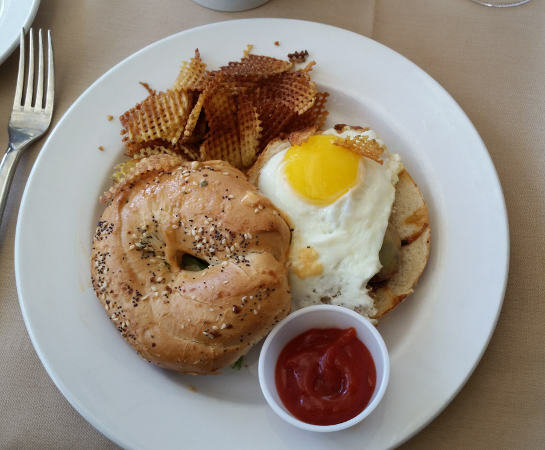 Chorizo Breakfast Sandwich – Chorizo patty, avocado, smoked gouda, chipotle aioli, fried egg, on an everything bagel – $12. I didn’t try this but reports were very favorable. If you’re going with the new girlfriend make sure you wrap this up with both hands. If our group is any indication it can get a bit messy. 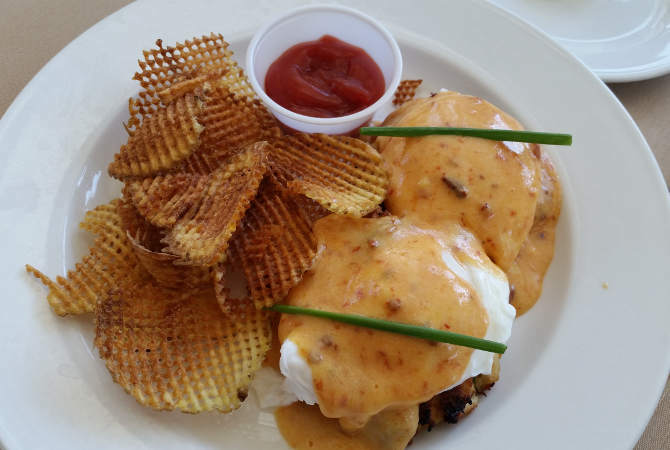 Eggs Benedict- Poached eggs, Canadian bacon, English muffins, hollandaise sauce – $12. This traditional presentation is always one of my favorites, so naturally this was my order. Perfectly poached with a yummy Hollandaise – say no more. 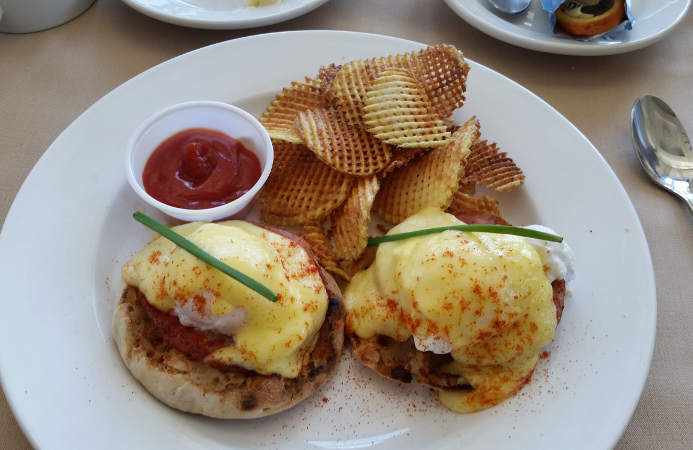 Crab Cake Benedict – Two crab cakes, poached eggs, chipotle hollandaise – $14. Did someone say rich? Yes, they did, which is exactly what one might expect and hope for with poached egg and chipotle hollandaise on two crab cakes. What is brunch if not indulgent. Entrees are served with truffle potato crisps and Ambrosia. I found the crisps (chips) to be a pleasant change from your traditional breakfast potatoes. Plenty of aromatic truffle flavor and not too filling. 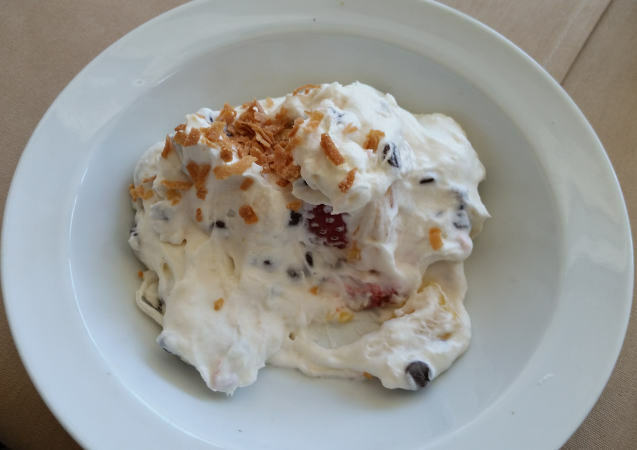 The Ambrosia on the other hand is plenty filling when you can’t stop eating it. Dessert for breakfast? Why not. Parking – Make sure to take advantage of the complimentary valet service. Even on Sundays parking on this section of Delaware can be difficult.